A visit to the Excelsior Hotel Malta at Christmas is a time when treats come in great packages, large and small. Every time you visit us this festive season you can indulge in the Grand Life. We have planned a month full of activities that will make your Christmas and New Year an occasion to look forward to and a place to remember. For more information about Things to do in Malta during your Christmas holidays visit our hotel website at: http://www.excelsior.com.mt/. 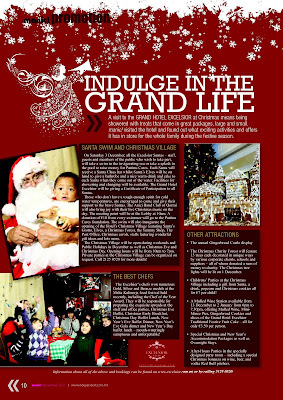 This entry was posted in Excelsior Hotel Malta, Things to do in Malta on November 29, 2011 by admin. Review on the Manic Magazine of the Malta Independent. 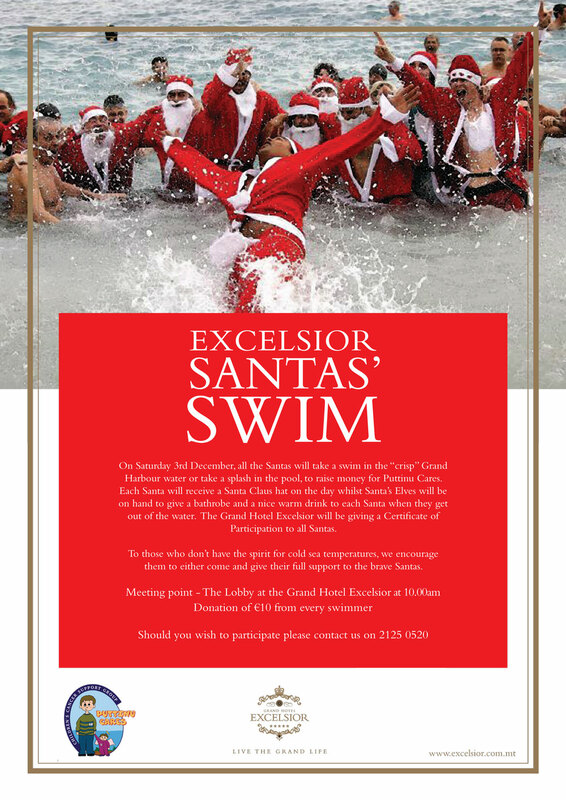 Next Saturday, 3 December 2011, all the Excelsior Santas – staff, guests and members of the public who wish to take part – will take a swim in the chilly sea or a splash in the pool to raise money for Puttinu Cares. Each Santa will receive a Santa Claus hat and Santa’s elves will be on hand with bathrobes and a nice warm drink and cake for each of the Santas as they come out of the water. Facilities for showering and changing will be available. 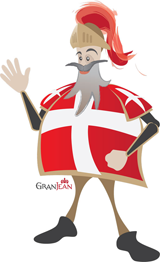 The Grand Hotel Excelsior will be giving a certificate of participation to all the Santas. 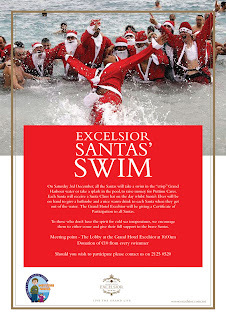 Those who aren’t tough enough for cold water are encouraged to come along and give their support to the brave Santas. The Anici Band Club from Qormi will also be bringing joy with their live Christmas music on the day. The meeting point for participants and supporters will be in the hotel lobby at 10am. A donation of €10 from every swimmer will go to Puttinu Cares. The swim will also mark the opening of the hotel’s Christmas Village featuring Santa’s grotto, elves, a Christmas forest, the Yummy Shop, The Post Office, Christmas carols, stalls selling hand-crafted items and much more. The Christmas Village will be open at weekends and on public holidays in December as well as on Christmas Eve and Christmas Day, from 10am to 7pm. Private parties at the Christmas Village can be organised on request. Other attractions include the traditional gingerbread castle display in the hotel lobby as well as a Christmas charity forest featuring trees decorated in unique ways by various corporate clients, schools and suppliers, all of whom have donated a sum of money to charity. The lights on the Christmas tree will be switched on on 1 December. The Excelsior’s chefs won numerous awards at the recent Malta Kulinarja gastronomic competition, including Chef of the Year and the same team will be responsible for preparing the exquisite spreads at the staff and office parties, Christmas Eve Buffet, Christmas Early Breakfast, Christmas Day Buffet Lunch, New Year’s Eve Buffet Dinner, New Year’s Eve Gala Dinner and New Year’s Day Buffet Lunch. More details of all these events are available by calling The Grand Hotel Excelsior on 2125 0520 or emailing info@excelsior.com.mt. View Article on the Malta Independent Online.